The tournament I was going into was three days but two different tournaments. 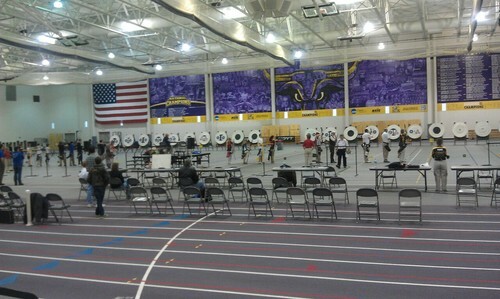 JOAD Indoor was one day and US Indoor was two days. Going into the tournament I was really confident I was going to do well. 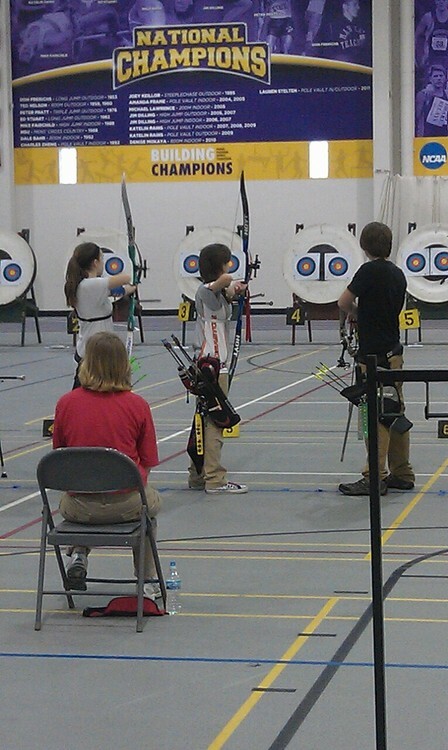 When I got up on the line, I was shooting next to my friends from my club. This was good and bad. It was good because I had the comfort of my friends but bad because they were also distractions. I finished and thought I did well. The second day went about the same. I wasn’t feeling really good when I was traveling up to the tournament and it seemed like it might be going away. After the tournament the second day, I went with a friend to Mall of America. We shopped and rode roller coasters then went back to the hotel. I woke up the next day feeling really bad with a lot of pressure in my ears. I knew I still had to shoot. I was trying to get in the mental state for shooting but it just wasn’t working. When we arrived and I shot, I just couldn’t concentrate. I wasn’t able to focus on shooting; I was just focusing on being sick. After the tournament was over, I had shot my lowest score of the three days. It was disappointing. After the official scores were posted from all the regions, I didn’t do as well as I wanted, but I felt good about where I placed. I have been working with my coaches since the last JDT camp on completely changing my form and I can see the progress but I still have a few months before I get it perfect. LESSON LEARNED: Now I know to load up on Vitamin C the week BEFORE tournaments! My goal was to place top 50% so I got that, good starting place and it helps me know what I need to focus on in training! I got my first “Five Questions” back from an Olympian! I hope you guys like it. I didn’t get to meet Jacob at the Texas Shootout because he was busy but it is cool that he was willing to answer questions for ME. 1. Do you use different arrows for indoor vs. outdoor? If so, what are the differences? I have used the same arrows for indoors that I use for outdoors (x10’s) and I have switched to aluminum arrows for indoors because they are a larger diameter. In my experience I shoot about the same scores either way. I think x10’s tend to be more forgiving but they don’t catch as many lines, while if I shoot aluminum arrows I will catch more lines but I’m more likely to have a flier. Because of that I have shot my x10’s more than my aluminum arrows for indoors because I’m more consistent. 2. Do you different string colors in different tournaments? If so, how do they help? I don’t use different color strings depending on the tournament. I have used black, red, blue, and white and honestly don’t have much of a preference. . . I have kind of settled on white. I put plenty of work into getting my bows to shoot exactly how I want them to, and once I get a setup working right I’m going to have more confidence shooting it exactly how it is, then if I switched the string based on conditions. 3. Did you always want to be an Olympian, if not, what did you want to be when you grew up? I didn’t always have my sights on the Olympics, but I also didn’t have something that I always wanted to do in place of the Olympics. What I did though is I’ve always believed that whatever I do I should do my very best, and so when I started shooting just for fun, I enjoyed it and gave my best, and that was when I shot compound archery in 3D tournaments. 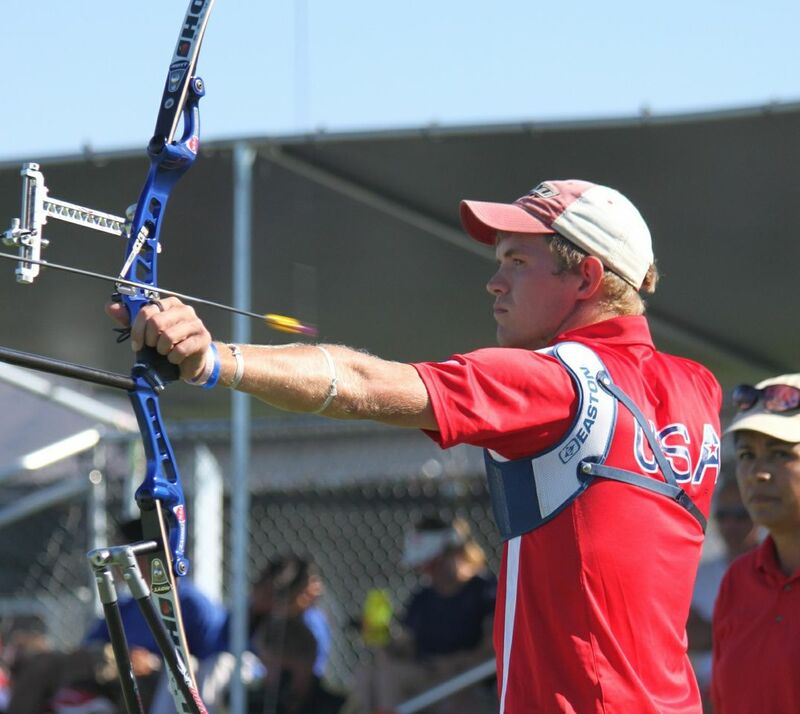 From there I became interested in Olympic archery from age 15 and gradually learned more about it and began competing with the recurve. 4. I have read that you used mosquitoes in training? How does this work and how does it help? Yes where I live in Ohio we have a lot of mosquitoes so I would get the bulk of my training done during the day when the mosquitoes weren’t out as much so I could make the most improvements on my technique. But at the end of the day when I was already tired and it was difficult to make a good shot as it was, the mosquitoes would arrive, and I intentionally continued shooting with mosquitoes all over me because my physical exhaustion combined with the mosquitoes forced me to learn how to focus on my technique and still shoot a good shot, it taught me how to have more control over my body when my body wanted to do anything but what I was telling it. 5. Since you have gone through trials more than once, what have you learned in the process that helps you each time? 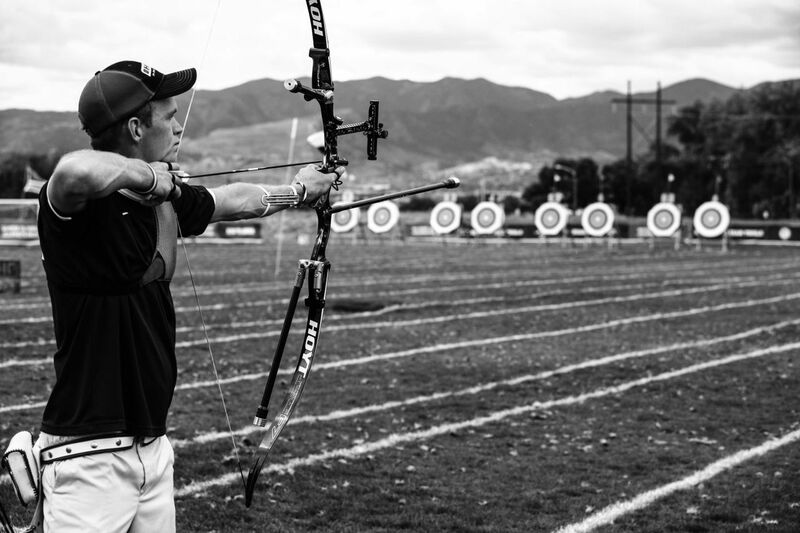 I think the most important thing when shooting Olympic Trials is to go out there and give it your best without worrying about where you stand and the best way to do that is to have already put in the work and gained the knowledge of how to compete at a high level. If you know how to shoot your shot, you know how to shoot the scores that you need to be competitive at that level, and you know how to keep your mind focused on that during the competition, then you can go out there and give it your best and all of that can be prepared for. If your technique needs work then you work on your technique, and if you need to be able to focus better when the conditions are difficult, your heart’s pounding and maybe you’re shaking more than normal, then be creative and figure out ways that you can teach yourself to focus more. On top of that is my faith though, and the most important thing for me to remind myself is that I’m a Christian and because of what Jesus has done for me I’m saved for eternity, and that he has promised to work all things together for good, for those who have put their faith in Him. So whether I’m competing in the Olympic Trials and my health is struggling, or right now I’m trying to figure out an occupation, or really whatever situation I find myself in and whether the results are what I had wanted or not, my focus is on the fact that He is in control and can be glorified through the results, and that is what’s most important to me during the trials.